Hello Emmett is a Google Chrome experiment game that is made for the Gboard Morse keyboard. 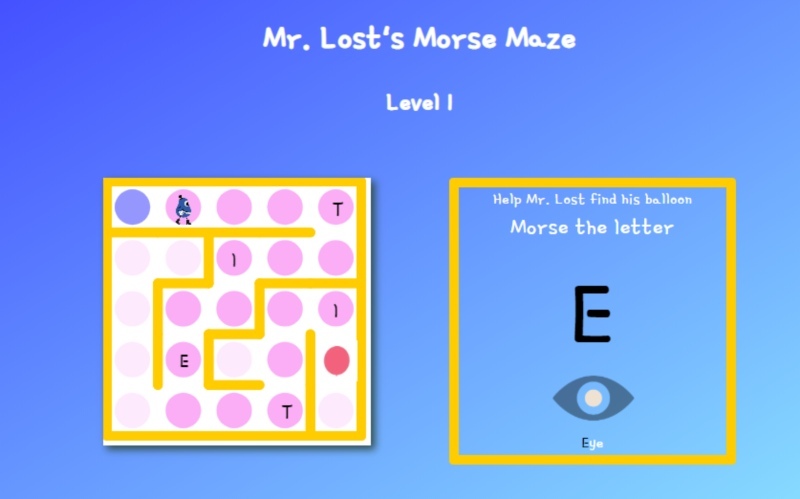 The goal is to help your character reach the end of the puzzle by using Morse Code to guide his way. The Gboard Morse keyboard is an education tool that teaches kids how to use the Morse code. The keyboard has settings for customizing it based on the apps that they’re creating. It’s also compatible with Android accessibility features like Point Scan and more. Learn more about the experiment here.